GOAL: To feel merged with Divine intelligence but still present in earthly reality, without ego, blissful, tranquil, artistic. IMBALANCES: Ungrounded & lost in own world, indecisive, unable to achieve movement in personal growth (stuck), spiritual but withut joy & ease or Divine power pushed down & unrealized. Mood disorders, tentative ties with earthly reality, energy turned toward destructiveness. Note: These stones are good for high-strung or artistic people who need grounding but may be too sensitive for red (root) stones. Anchoring Light Grounding ~ Planetary Light Work This essence is useful when consciously serving as a divine instrument for anchoring light, connecting ley lines and healing the planetary grids. We are transducers of energy, and this essence helps us remain stable, grounded and loving, adhering to the concept of peace, while doing this very powerful work. Also good to use during Yoga, T’ai Chi, Planetary Acupuncture and all forms of sacred movement. This essence lubricates the pathways so that energy can flow ~ enabling us to be more effective conductors of the new frequencies entering the planet. Also good when you feel over-energized, for grounding the energy. AMETHYST: centers & balances emotions, prevents excesses, enhances psychic ability & memory, soothes mind and aids meditation, love of the Divine, selflessness, purification & regeneration of consciousness. SUGILITE: Enhances sensitivity and chanelling abilities while protecting & balancing heart & emotions, brings higher spiritual awareness into physical reality, "I am a true manifestation of unconditional Divine love." FLUORITE: grounds & frees from over stimulation on the psychic plane, spiritual awakening, counters mental disorder, concentration, communication between mind & spirit, fulfillment, life on Earth in Divine wisdom & love, spiritual unity with all creation. 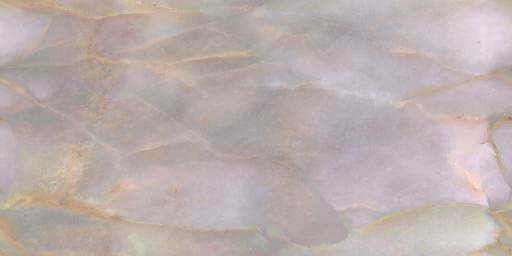 LEPIDOLITE: expression of inner light & joy, emotional balance, peace, harmony, connection to the spiritual plane. 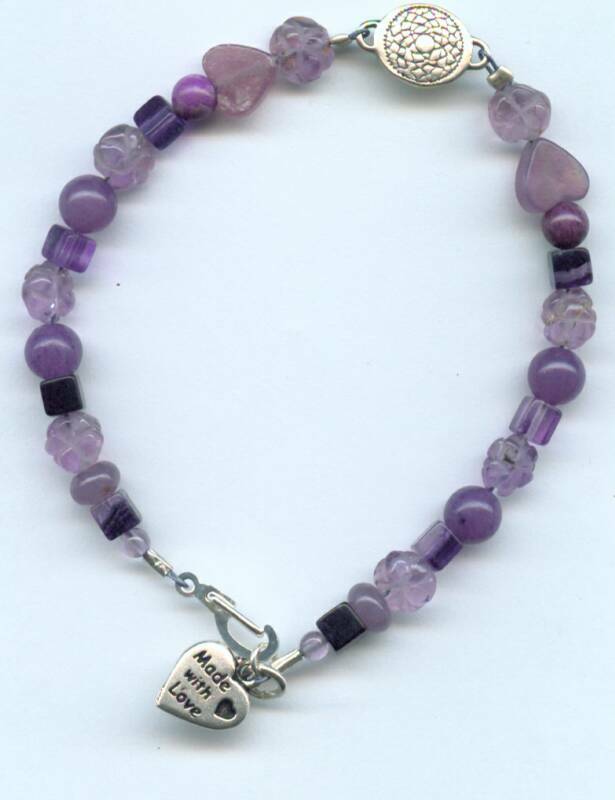 St. Germaine graces the amethyst essence with his essence. He brings to us the violet ray of transmutation, alchemy and transformation. There is mastery of thought. The crown chakra is opened to receive energy from higher chakras and to receive spiritual insight into highly refined aspects of higher potentials. There is divine love and inspiration. Useful in leadership positions. See the divine perfection in all things. It is a visionary essence. any moment to be the best moment ever. It is about the cycles of water, the cycles of life. Body: Upper head, pineal gland, upper brain, eyes, cerebral cortex, higher chakras, in body chakras, majority of body systems, the central nervous system, muscular system and skin. Young Living Essential Oils:: 3 Wisemen or Sandalwood on top of the big toes, Forgiveness or Harmony on the very top of the head. Front: Seventh or Crown Chakra is our connection to our spiritual nature, and our capacity to allow our spirituality to become part of our physical lives and guide us. What do you think about that? Entry point for human life force which pours endlessly into human energy system from source. How fully is your life force pouring from Source into your body? How open is your faucet? How clear are your pipes (pranic tube)? Circulatory system? 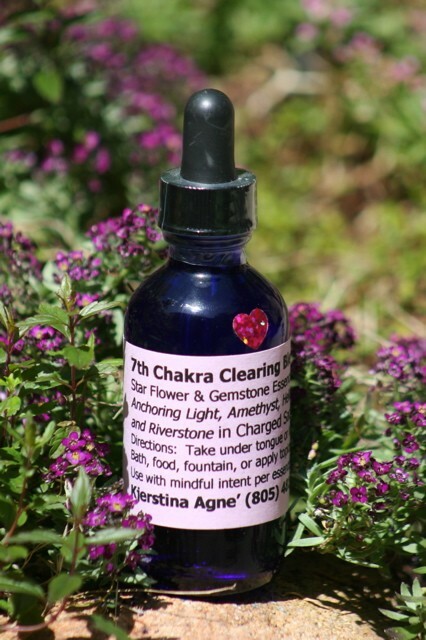 Chakra Seven is fully activated at birth, unlike most other in-body chakras. The physical closing of this center of entry (baby's soft spot) symbolizes the need for us to develop as planned, to live the life set forth by us and our human parents....What thoughts or feelings does this idea bring to mind and heart? During mid puberty years, our body completes itself. Ideally, during this time, we are compltely open to being one with our higher purpose. What family or social blocks were forged during your development which failed to support your purpose, and cause puberty to be more of a struggle and confusion than the unfoldment of grace and purpose? In what tangible ways can you identify, honor, and release these blocks, and choose again now? When this chakra is open, a person can see the deepest mysteries of life; a person knows things without having a reason, tapping into universal mind and finding the information there. One feels a part of everything, supported and connected. What evidence is there in your life now that your crown chakra is open or closed? How will you know when that shifts? To fully open the crown chakra requires a pure heart, profound integrity and is a fit that your soul earns. When you are connected into the seventh chakra, it connects you to the grace bank account, the warehouse of energy we amass through kind thoughts, actions, and acts of faith and prayer. If this chakra is blocked or underfunctioning, you may experience the dark night of the soul; fears of spiritual abandonment, loss of identity, loss of connection with people around us. Immune disorders, cancers, nervous system disorders, bone disorders can all result from a closed seventh chakra, as well as all problems relating to the pineal gland which operates the phsyche and purpose center, and as an immune system regulator. If you suffer any of these maladies, what is your spirit trying to tell you, and how will it know when you have heeded it's message? Learned problems with the seventh chakra could include: schizophrenia, multiple personalities, neurosis or psychosis; major depression, headaches, dizziness, or light-headedness, dissociation, or being ungrounded, imbalance of any type, lack of self-understanding and lack of direction. Back Side: of the Seventh Chakra is simultaneously located nowhere and everywhere. Here we open to and realize the divine spark of consciousness. THe back side is the access point by which we can connect with all divine beings of source, whether they be physically alive or not. Here is the lifeline to all existence and the truth to our own existence. Through the back side of the Seventh Chakra, we channel gold kundalini, the life blood of our spiritual existence. While the problems in the front side of this chakran can manifest physical concerns, the back side does not physically affect us because of its complete nonjudgmentalism. Opening to energies available through this back side chakra can lead to physical healing. Any sense of disharmony or incompleteness could indicate a blocked seventh chakra back side. To keep this portal open, we must be willing to change negative belifes about ourselves or let them be transformed. An open seventh back chakra connects us to the divine spark of consciousness and the positive beliefs the Universe holds for us. An open back 7th Chakra is a feeling comparable to that which we experience when we pray, or meditate at our personal place of worship. This brings us to the realization that all spirits are equal. A state of awareness or feeling of being home occurs here. Considered to be the last auric level framing the physical body, this auric layer penetrates the tenth or grounding chakra assuring that our spiritual connections are grounded to earth. The seventh auric level mirrors the self who left source with a purpose or truth to carry forth in the earthly dimension. This auric level links us with the Self who best illustrates our spiritual nature on this plane. This level allows us to better understand the Self with the spiritual abilities and gifts. We came to integrate these gifts into our everyday life. What are your gifts? If you don't know what your gifts are, who do you know whose gifts shine brightly enough for you to see? What are those gifts? To identify the gifts of another is to look in the mirror. You cannot see what you do not possess. Typically seen as an egg shape around the physical body, this level also extends up to heaven and down to Earth, totally connecting us to Source. The seventh aura affects our entire existence because it is tied both to the brain and to the spine, which regulates all of life's functions. Allowing ourselves to feel, see or hear this auric level will greatly speed both healing and information gathering. Thus enabling us to correctly tie thought processes and higher guidance from Source. It is also a place where we get advice from ancestors or angels to bring positive interactions guiding us to our highest path. This is the place where feelings melt together, melding us as one with the light. The feeling is one of bliss and all-knowingness. This level draws in healing and abundance to our physical self and to all of life. As we integrate this field with the physical, emotional, mental and spiritual, much information will be experienced. If you are reading this, you have reached a point of ability to tap into these concepts and experience them in your life. Take time to journal, meditate, and explore these ideas with your Self. Opening your awareness to them through concerted, mindful journalling and meditation will go a long way toward integration and awareness of these truths in your spiritual quest and purpose, and in your everyday experience.